3250 мА⋅ч литий-ион., Quick Charge 3.0, время разговора в сети 2G (сведения производителя): 29 час., время разговора в сети 3G (сведения производителя): 21 час., время ожидания в сети 2G (сведения производителя): 530 час., время ожидания в сети 3G (сведения производителя): 400 час. Heir to the throne? With the Axon 7, ZTE is about to reach for the smartphone crown. Besides top performance and superb equipment, the 5.5-inch, high-end Android impresses with its Dolby Atmos sound system, which can fill a room with sound. Давайте подведём итоги всего вышесказанного: компания ZTE привезла в Россию действительно интересный и стоящий гаджет. Как по дизайну и корпусу, так и по начинке Axon 7 может смело конкурировать с топовыми устройствами Android рынка. У него крупный и качественный экран, продолжительное время автономной работы, внушительный объём памяти, да и прочая начинка не отстает, плюс камера и, конечно, прекрасный звук. ZTE have done a half decent job with the Nougat software. Very few manufacturers leave the Google software alone these days and ZTE’s take on Nougat isn’t as bad as many others’. While it’s not perfect it is certainly not a poor experience, once a decent keyboard and launcher was installed. So look for headphones with flat impedance curves (good luck finding that in specifications though!) and fairly high sensitivity, and all should be fine. The ZTE Axon 7 is a very good smart phone with a very good screen and very good performance at a price of around two thirds of that you’d pay for one of the big names in phones. That’s pretty impressive. The Axon 7 does stumble a bit when it comes to low-light shots, and its loud speakers don't always offer the best bass. The OnePlus 3 and Alcatel Idol 4s are both worthy alternatives — the former for its whopping 6GB of RAM, the latter for its bundled-in VR headset — and both offer better battery life. The OnePlus 3 is still our favorite sub-$400 phone out there, but the Axon 7 is an extremely close second. To be completely honest, this is an amazing phone. I struggled to find anything wrong with it. Everything about it is the top of its class, and it’s cheaper than most other phones. I kept looking for the catch, but there doesn’t seem to be one. But other than superficial aspects, I have no real complaints with this phone. Regular readers know I place a lot of emphasis on value in my reviews (I'm not going to judge a $400 phone the same way I do a $850 phone, and I think phones that cost north of $700 should be scrutinized. That's why I thought the HTC 10 was a pile of "meh"), so whatever minor nitpick I have, such as a less-than-stellar low light camera performance or silly gesture shortcuts or no backlight for capacitive buttons that are too close together, I just tell myself "dude this phone is $400," and I don't think it's bad at all. In the end, if you think you want a ZTE Axon 7 you are most likely the kind of person who will be able to get it working just right. From my time with the Axon 7 I’m desperate to get my hands back on one when the Android 7 update comes out and have little reservations in recommending it. Yes. At $400, the Axon 7 is a no brainer. It packs a speedy processor, the best audio we’ve heard on a smartphone this year, a great display and camera, and software that’s unobtrusive. It may not sport dual cameras, bleeding-edge silicon, or an ungodly amount of memory, but to call the Axon 7 a slouch is to do it a disservice. Short of smartphones hundreds of dollars more, it’s one of the best on the market. 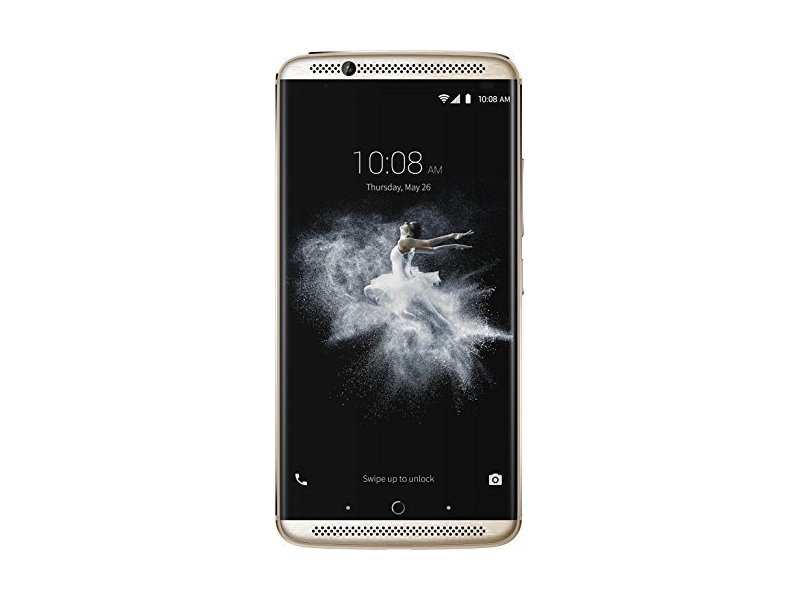 The ZTE Axon 7 is the company's knight in shining armor that's meant to take US shores by storm. We've got good news for you ZTE: you're on the right track with the Axon 7. However, success isn't guaranteed, and that's a bummer considering how great of a product you've put together. The all-metal build that carries over to the front-facing speakers has caught more than a few eyes when using in public, and the screen of this phone is a thing of sheer beauty. I can confidently say these are the second best speakers I’ve ever heard on a smartphone and I’ll definitely miss having those. Playing Fallout Shelter and Monument Valley provided the best gaming I’ve experienced on a phone, and to the average user, every day usage is going to feel very fluid. The Axon mini is a great little phone. For £229.99 you get one of the best phones in the market, at that price range. The display can rival that of the best flagships, the audio smarts are proven to be outstanding and the camera comes with all the tricks you will need to wow your friends on social media. The ZTE Axon 7 is, all things considered, a fantastic device at a terrific price point. On paper, in many ways, it outstrips the OP3. But when it comes down to the essentials — processing, camera and design, in particular — it feels as if the line has yet to fully find its feet, while the OP3, now on its third attempt to kill flagships seems a more confident and stable offering. 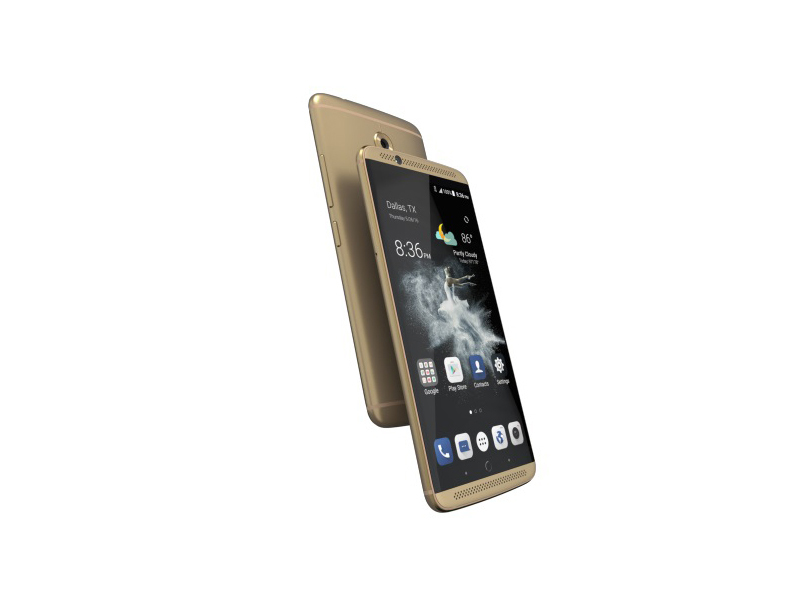 The Axon 7 also sports a USB Type-C port, which is becoming increasingly common among Android phones in 2016. And while the company ships a Quick Charge 3.0 charger and Type-C cable in the box, it generously provides a micro-USB adapter for those who want to keep using those older, far more ubiquitous cables. It's one of many nice touches in a box that includes a very decent pair of headphones and the aforementioned clear TPU case. I'm still not convinced that the ZTE Axon 7's $399 price tag isn't a typo. This smartphone performs like something that costs hundreds of dollars more, with a fast processor, a rich display and a stunning design that oozes care and quality. The phone's MiFavor interface adds some nice software touches without getting in the way, while its 20-megapixel camera takes gorgeous outdoor photos complete with plenty of tools for photography nuts. 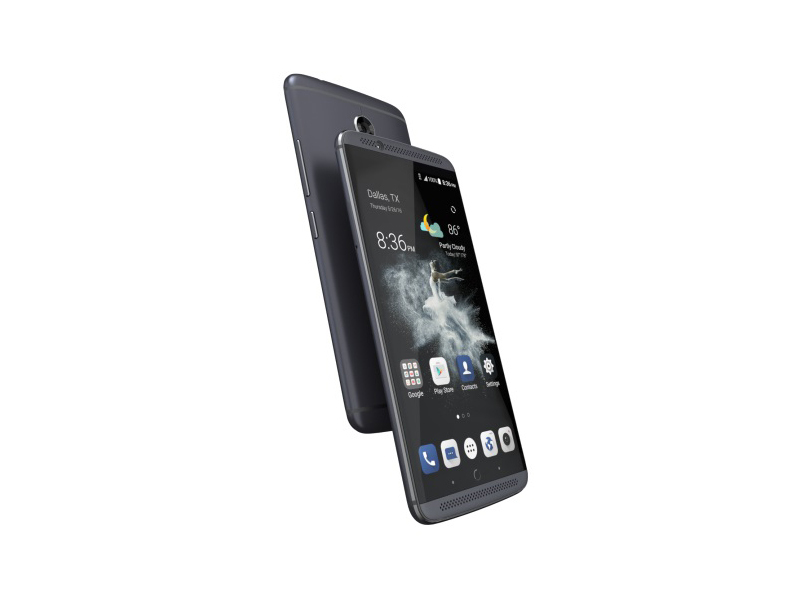 The Axon 7 leads the way in terms of affordable flagships and aside from one drawback, delivers in every department. ZTE scores another first with an excellent smartphone that’s compatible with all major US networks. With the Axon 7, ZTE raises the bar substantially for premium, affordable flagships by delivering an excellent smartphone with very few compromises, even next to the very best. 83% ZTE Axon 7, análisis: ¿ha hecho ZTE el mejor teléfono en calidad/precio del año?